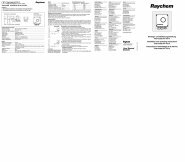 AT-TS thermostats provide temperature control in a safe area. 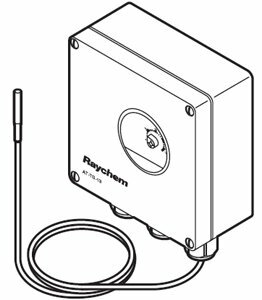 The temperature set point can be checked through a window in the lid. LED's indicate when cables are energised (Heating on) or when the temperature sensor is defect (sensor break or sensor short circuit). 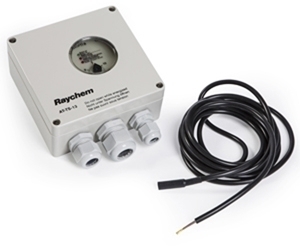 The temperature sensor has a length of 3 meters and can be shortened for ambient sensing operating. Direct connection of the heating cable is possible (Connection kits need to be ordered separately).